France-based global video game publisher and developer Ubisoft is preparing for the upcoming release of its eagerly-anticipated game Watch Dogs and even though the minimum specs list for the PC version of the game was leaked on October 3, 2013, the studio was quick to dismiss the leak as a mistake. Sebastien Viard, the company’s technical director has stated that the game’s official specs are going to be lower than what was publisher earlier. Ubisoft’s Uplay store featured a list of necessary tech specs for Watch Dogs PC briefly before it was taken down, but still managed to raise concerns over its restriction of the game’s support to 64-bits-only. It is no wonder that users were less-than-thrilled to hear such news, as the newest Steam statistics shows that about 24% of Steam customers do not have a 64-bit operating system, which means that they would not be able to play the game with such requirement. 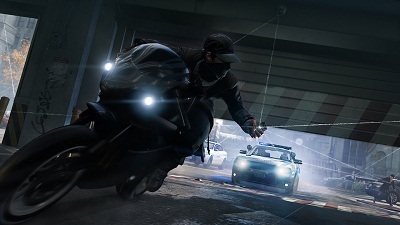 Watch Dogs is scheduled to be released on November 19, 2013 in the US and on November 22, 2013 in Europe and it will be available for PC, Xbox 360, PS3 and Wii U. The game will be available for Xbox One and PS4 once the next-gen consoles have their debut.